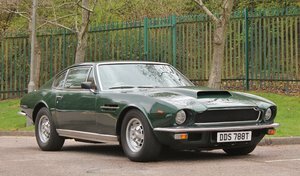 - Three owners from new - Desirable colour combination - Owned by famous Olympic champion - Manual gearbox This Aston Martin V8 Vantage was originally sold by Auto Becker, Düsseldorf. In 2008 the car was imported into The Netherlands for famous Dutch dressage champion Anky van Grunsven. Van Grunsven holds the record for winning the most Olympic medals by an equestrian, with nine medals, and is the only person to have won any equestrian event in three successive Olympics. She is also the only person to compete at seven successive Olympics in dressage. She has competed in every Olympic Games between 1988 and 2012, winning a total of three gold medals, five silvers and one bronze. The Aston Martin V8 is tastefully combined in Meteorite Silver Metallic over a Bitter Chocolate and Kestrel Tan Leather interior. In 2010 the car went to the second Dutch owner, who kept the car until we bought her back in 2015. In 2016 we sold the car to the car to a very good friend of us. 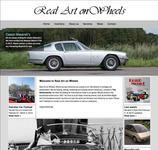 Recently we were in the possibility to buy her back and we are happy to have this car back in the collection. All original condition and a total of 67,000 Kms driven since new. The car is completely serviced and ready to be enjoyed. 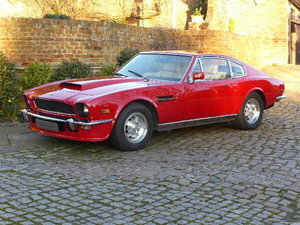 This 2006 Aston Martin V8 Vantage is for sale, don’t hesitate to contact us for further information.